Electrolytic anodising involves producing aluminium oxide coating on the aluminium (or its alloy) surface. This process changes many properties determining the appearance and function of aluminium: structure of the surface, colour, corrosion resistance, hardness, abrasion resistance, reflecting capacity and electrical insulation (resistance). 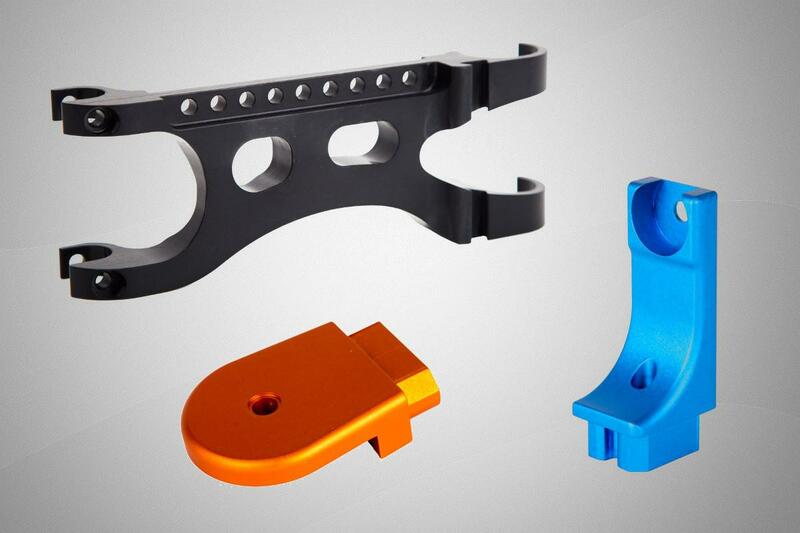 We offer the hard and decorative anodising services as well as colouring of aluminium parts of length up to 2 m.
Available colours: natural, black, orange and blue. We also match colours individually to customer’s order. Anodised products do not contain substances listed on Chemsec SIN List 2.1 (version, issued in 2015).